I don't normally write obituaries, but I don't normally meet someone like Pierre Ryckmans. Because of lack of space I was unable to highlight so many of the remarkable aspects of this brilliant, acute analyst in this piece written for the Canberra Times . . . 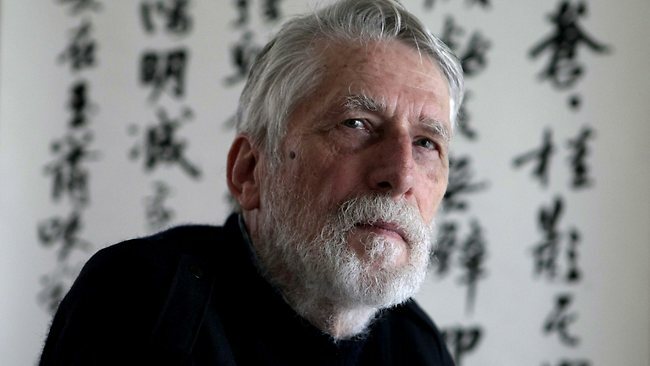 Professor Pierre Ryckmans; born on Confucius Day (28 September) 1935, died 11 August 2014. You can tell a great deal from the way sentences are put together. Sometimes the words circle round a thought. They come close to expressing an idea when a sudden, infelicitous turn of phrase spins the reader round and sends thoughts careering off in another direction. Occasionally it’s the other way round; the prose is precise and the idea poorly expressed. The ability to find the perfect match is rare: the capacity to do so in more than one language is so remarkable that you’d expect it to breed arrogance and hauteur. Pierre Ryckmans – who wrote under the pseudonym Simon Leys – possessed a remarkable ability to marry both the technical requirements of writing with ideas and descriptions that could fire and excite the imagination. After his death on Monday this is the thread that will run through the many obituaries that will describe his life and achievements; yet, fine though these are, that’s not what Ryckmans meant to me. Describing this requires a story, one dealing with the controversial intersection between individual life and politics and of being imbedded within a culture yet still retaining the ability to examine it from outside. You see, I didn’t meet Ryckmans because he was a famous author. Indeed, he probably wouldn’t have been interested in meeting me if that was my motivation: he had more than enough admirers. But he was vitally concerned with the direction of the world, and Australia. He agreed to speak to me about Kevin Rudd, a former student whose honours thesis he’d supervised. Ryckmans’ house stood on a suburban street like any other. Well, perhaps that’s not quite true, because it sits on the side of a hill instead of the flat, and it possesses the bold red door that’s more appropriate for a China expert and ANU Professor than the sort of nondescript portal that opening onto the home of a public servant. But what surprised me was not just how clearly he recalled the young man he’d taught so long ago, but his insight into Rudd’s then developing personality. I’d entered hoping simply for a few lines to contribute to a political biography I was writing of the then opposition leader and that’s the way I began. Simple, once over lightly, do you remember the young student from so long ago and what did you think of him if you do? Ryckmans quickly brushed my opening gambit aside. His right arm waved in the air as he leant forward, piercing me with his eyes. A sudden clattering noise came from the kitchen, breaking the sudden silence. If that was all I wanted, he said, he wasn’t interested in speaking to me. The interview stopped as he first probed me, worked out what I really wanted to ask, and then responded. He was concerned about precision, clarifying his meaning before sitting back and waiting for me to try again. What was to emerge, over the next hour and a half, was everything I could have hoped for: a detailed portrait of an individual combining clear recollections of the past with hope for Ryckmans’ adopted country’s future. This was combined with optimistic glimpses of how Australia might – under a new, inspired and educated leadership – forge a dynamic culture and a comfortable home in our region. This would, as it happened, not come to pass, however that didn’t stop Ryckmans determination to do anything he could to help humanity tackle the fundamental issues confronting us. Born in Brussels in 1935 he studied law at Leuven before leaving Europe to study in Taiwan. His love of Chinese blossomed into an engagement with that society that allowed Ryckmans to reveal truths at a deeper level than a study of language alone reveals. As the ‘cultural revolution’ progressed he became a scathing critic of the destruction he was witnessing. Ryckmans didn’t shy away from controversy and was equally contemptuous of Mao’s Western defenders as he was of the Red Guards that trampled the world’s oldest continuous culture underfoot. It was at this time, so he could continue to forthrightly express his views while at the same time engaging with China, that he adopted the pen-name Leys (after a character in a novel by a French polymath who’d lived in Asia). Ryckmans had moved to Hong Kong, which proved a perfect point from which to observe the terror that was shuddering through the mainland. His ensuing book, The Chairman’s New Clothes (Les habits neufs du président Mao) provided the first, best, immediate and detailed picture of what was happening during this traumatic time. His accurate and scathing analysis of China continued when he settled in Canberra as a professor. Ryckmans displayed a remarkable ability to traverse a range of fields, moving easily from pure contemporary political analysis to combining this with the insights of personal reflection in books like Chinese Shadows (Ombres Chinoises). This study went beyond the bright lights and shallow overviews to probe what was happening off-stage, beyond the sight of the traditional media with its obsession with the doings of the great, bad and mad. After moving to Canberra Ryckmans began to extend his writing, using it as a chance to probe deep inside our concepts of personality and humanity. Although he was personally disappointed by the result when his playful novel, The death of Napoleon was made into a film, this was perhaps not unexpected. Ryckmans was a hard taskmaster: he expected the same precision and dedication to truth and exactness from others as he demanded from himself. And he would not bend. His manuscripts were always, according to his publisher, detailed, clear and hand-written. He loved practicing the flow of the brush-strokes of Chinese characters, combining of the precision of ideas with the surge of emotion. But, most of all, Ryckmans would not be categorised and pushed into a pigeonhole. At times this could be to his own detriment. An Ambassador once complained to me, “the famous academic didn’t turn up for lunch with a visiting politician”; seemingly surprised that Ryckmans might have had something better to do than eat with a middling (if otherwise inoffensive) bureaucrat who’s chief attribute seemed to be that his extraordinary ordinariness was likely to make him an excellent candidate for the ministry. Ryckmans challenged himself, and us all, to think. A recent essay describes his astonishment at discovering people consider it insulting to be compared to Don Quixote. Ever hopeful, Ryckmans enthusiastically embraced the opportunity to discover de quoi s’agit – what it (life) is about. Ryckmans’ wife, Han Fang, pretends dismissively she was nothing more than Sancho Panza. Her confidence comes from being secure in the knowledge that she, and their children, provided the secure citadel that allowed her knight to venture forth, slaying the dragons of complacency and smugness. In the early hours of Monday morning a red moon spread across Sydney harbour where Ryckmans, consumed by cancer, had spent his last months at Rushcutters Bay. He turned quietly, look at his wife, and died. He was surrounded by his children; Etienne, Marc, Louis and Jeanne, son and daughter-in-law, and grandchildren. No one else has fought more strongly, more strenuously, to tell the stories of ordinary people caught up in a world of change. Thank you very much for this piece on my all-time hero. I miss him. A great master!